1. Bracing against the movement? Watch for any form of bracing through your legs and hips against the motion of the horse as it will pretty much for sure stop you from being able to retain your stirrups. Visualise the motion of the horse’s back and his sides – the ribcage swings slightly from left to right in every gait albeit differently in walk, trot and canter. Be aware that to absorb this swing you need certain amount of pelvis mobility and the bigger the motion of your horse the less you will get away with bracing/stiffening up. To practice mobility without tension, try feeling the swing as it happens by relaxing all the muscles around your knees and allowing the lower leg to follow the movement of the ribcage – let your legs “breathe” with your horse. It is all well to feel mobile and relaxed through your hip joints and perhaps even in your knees but if you were one of the riders taught to push your heels deep down, you are very likely blocking the suspension mechanism in your ankles. 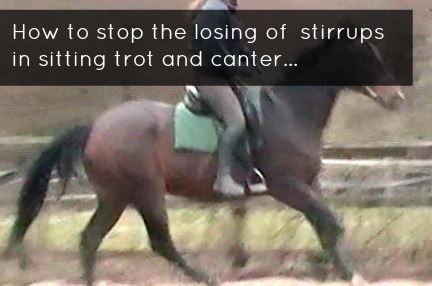 If you do, you might get away with your sitting trot and canter on fairly flat moving horses but the moment the motion increases, the blocked ankle joints will eventually cause you to bounce. You might retain your stirrups but you are unlikely to remain in harmony with your horse. The exercise I like a lot for getting rid of “jammed” heel is allowing your ankles to “dance” – in both sitting trot and canter your seat bones lift and rise on alternate sides in the rhythm of the motion of the horse’s back. As your inside seat bone drops half an inch, so does your knee and so can your ankle/heel. A moment later, however, that seat bone will be lifted half an inch, so will your knee and so will your ankle/heel. Allowing your joints to open and close in response to the lift and fall of the seat bones create a “dancing” effect which the rider feels much more than onlookers can see. To be able to open and close through your joints you need them to be in the middle position…think about extending your elbows to the point of them locking and then trying to catch something thrown to you. Locked joints are in their end positions, they have no rebound, no suppleness, no suspension. This is why riding with your heels jammed down at each phase of the movement will never let you also maintain a supple, deep seat in sitting trot and canter. It seems that “using ones core muscles” became a bit of a fashion nowadays and although I do agree we need a healthy upper body stability and reasonable strong core, it’s not the be or not to be as far as the sitting trot and canter and retaining stirrups goes. The key here possibly is not just the core strength but the ability to connect the stabilising effect of the use of upper legs (thighs) with the mobile, supple pelvis and stable upper body. Try taking your legs away from the saddle (about an inch) whilst at the same time feeling them very gently taking a “knocked kneed” position (thigh bones rotating inwards ever so slightly). Keep them away like this for count of 2-3 deep breaths in and out. Release and repeat 2-3 times. Next, only start taking your legs away but quit before your inner thighs leave the saddle. Can you feel the outer thigh muscles switch on as you plan to take your legs away and rotate them inwards a few millilitres? Good, you found your stabilisers. Lightly engage these muscles in sitting trot and canter so you are in absolute control of your thigh position and you should notice a huge difference in stirrup retention. On a standing horse, take your feet out of the stirrups and lift your knee up a couple of inches as if you were preparing to tighten your girth, then let one leg drop down as as if it completely lost use of all muscles. Repeat 10-20 times on each leg. Make movements small but let the legs truly drop with their own weight taking them down. Loose and limp. Now again if your horse is suitable, canter and try to repeatedly lift and drop your inside leg in the 3 beat rhythm of the canter: 1-2-drop, 1-2-drop etc try not to “drop your legs yourself” but let the gravity take them down – if you start pushing your legs down you will be putting your joints in the stiff end positions. Now re-take your stirrups and jog on. Feel your legs being dropped by gravity on alternate sides, the joints dancing in the rhythm of the movement. The ball of your feet feeling the stirrups irons and heels feeling heavier than the toes. Once you feel comfortable in the jog, try the same in working trot only switching on as much muscular strength as you need to maintain stability. Hi Aspire. i’ve been ‘off the grid’ for a while, thanks to all my competing health problems, so am now desperately trying to catch up with all your posts! Found this one really interesting as, I still have ‘heels down’ ringing in my ears from when I was taught to ride as a child. What followed from this? Years of braced ankles! 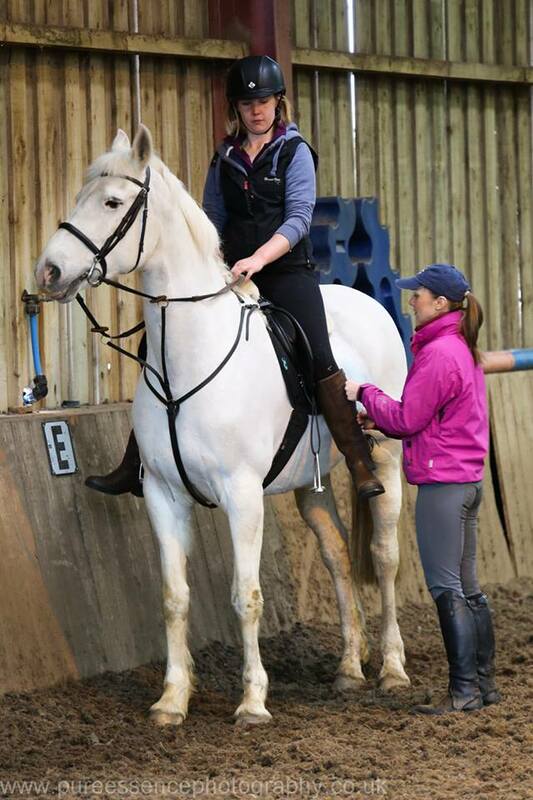 As my dystonia problems have emerged, it’s forced me to be so much more aware of how muscles work – both rider and horse – and I started riding a lot more without stirrups. Suddenly, cantering’s a heck of a lot easier, because all the tension’s gone…still ride like a clothes peg on a bad day, of course. But I shall have a go at your recommendations. Hello DG, I did wonder what happened to your riding reports! I must say, if there was one instruction that I could remove from riding tuition it would the “heels down” phrase. It puts the riders focus from their pelvis that needs to balance to feet that really only balance us when we stand on the ground. 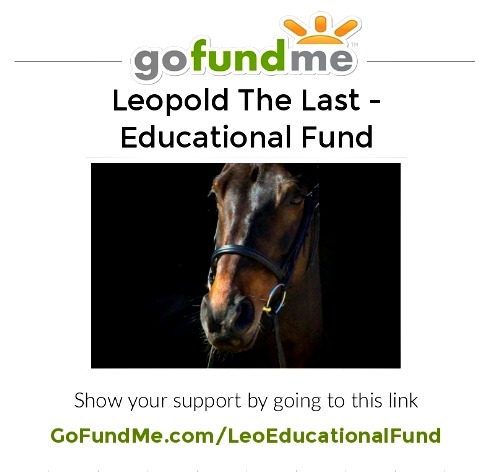 I am not surprised to read you feel much better riding without stirrups, hope the good feeling continues!